Why vaccinate adults against influenza? Depending on the severity of circulating strains, the flu kills between 3,000 and 49,000 individuals in the US annually. Influenza can cause serious complications in people with a variety of chronic illnesses, including asthma, diabetes, heart disease, and immunosuppression. In the US, as many as one in five individuals get influenza each year, and while the virus can be mild in some years, it can be very severe in others, causing debilitating illness and death even in previously healthy people. Direct medical costs of a moderately severe seasonal influenza outbreak average more than $10 billion. UPDATE: The updated recommendations of the Advisory Committee on Immunization Practices (ACIP) regarding the use of seasonal influenza vaccines is available at: Prevention and Control of Seasonal Influenza with Vaccines, 2018-2019. Routine annual influenza vaccination is recommended for all persons age 6 months and older who do not have contraindications. A licensed, recommended, and age-appropriate vaccine should be used. Which adults need influenza vaccine? All adults need influenza vaccine every year. You can get the vaccine as soon as it becomes available in your area or anytime during the influenza season. Adults with certain health conditions including heart disease, asthma, diabetes, a liver or kidney disorder, or a weakened immune system are at especially high-risk for influenza and its complications. In most cases, they should also be vaccinated for pneumococcal disease. the flu vaccine is recommended for everyone six months and older every year? What happens when someone gets influenza? The severity of flu can vary based on which strains are circulating. Common symptoms include fever, aches, chills, tiredness, and sudden onsite. Other symptoms may include a cough, runny/stuffy nose, and/or sore throat. Influenza can become severe, even in healthy people, and can lead to complications resulting in hospitalization or death. People can spread the flu virus to others before they know they are sick. Why is annual influenza vaccination important? 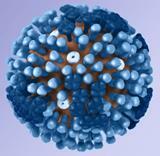 Influenza viruses are very “smart” and they change often to avoid our immune systems. The influenza vaccine is updated annually to include protection against the current viruses circulating. There’s no easy way to know when an influenza season will be severe, so vaccination is the best way to protect yourself and those around you. How else can I avoid the flu? Getting the influenza vaccine every year is the single most important step toward protection, but there are actions you can take to stay healthy. Visit the CDC’s “Take 3” Actions to Fight the Flu site for additional information on everyday hygiene tips, like proper use and disposal of tissues when you cough and sneeze, handwashing tips, when to use alcohol-based hand rubs, and more. Appropriate use of antiviral medicines to treat flu, should you get it.Influenza viruses are very “smart” and they change often to avoid our immune systems. The influenza vaccine is updated annually to include protection against the current viruses circulating. FAQ: Is it OK for me to get the flu vaccine at work or at a grocery or drug store? Yes! Influenza vaccines are now available in more places than ever, and it’s a good idea to get yours at the most convenient place for you as soon as it is available each year. Flu in Adults Age 65 Years and Older: What Are the Risks?